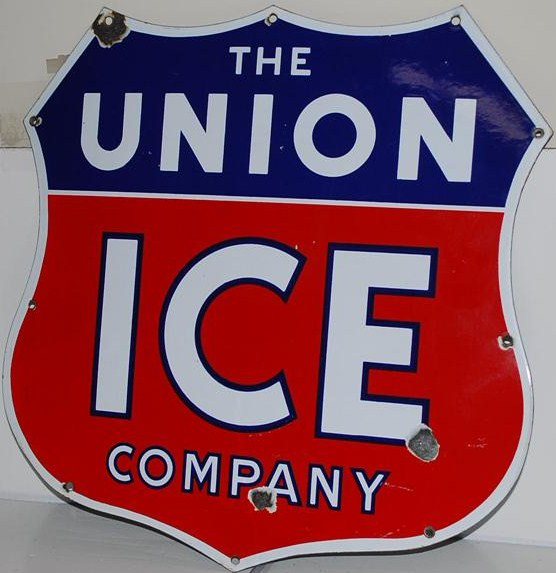 This is a shield-shaped Union Ice Company porcelain sign. This particular Union Ice Company sign is red, white, and blue. It reads, “The Union Ice Company”.